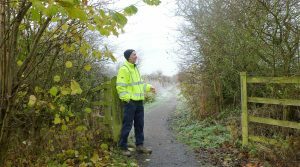 To revitalise part of the bridleway between the village and Rotary Way and work with local schools and youth groups to create a Youth Forum. We think you would agree; right now we could all do with something to feel good about in Ponteland and blow away the festive cobwebs. The PCP has always aimed to identify the things that really matter to people who live and work in Ponteland Civil Parish, these need to improve the quality of life. Also to work with all interested/involved parties to develop acceptable ways of meeting these needs. 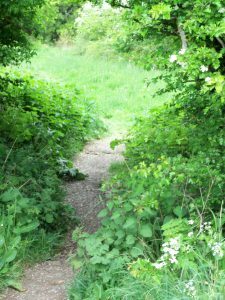 Bridleway The PCP invites you to be involved in revitalising the bridleway between the village and Rotary Way as part of giving additional conservation benefit and added amenity value. We are looking for volunteers, of all ages, to get stuck in and help with this well used recreational facility on Saturday February 25th. So far, we have involved the Area Countryside Officer at NCC, our local wildlife group, the Town Council and youth groups. All you have to do if you are able to join us on the Saturday February 25th is contact us through our website www.pontelandcommunitypartnership.co.uk and leave your details on the contact page. The PCP will then send you all the information required. Youth Forum another ‘New Year Challenge’ starting towards the end of January, to encourage the forming of a Youth Forum to become a young person’s voice in Ponteland. We already have a young Youth Ambassador since the Ponteland Question Time last year. Young people make up a small minority in the community and their views and concerns can often be over looked, this forum will give the young people an opportunity of expressing their concerns. The partnership has always shown an interest in young people, now we want to invite 11-18 year olds to join the forum as part of the Community Partnership. We are planning to go into schools over the spring term, to link with the Youth Service youth groups and the Town Council to gain a better understanding of how young people can be actively and positively involved with the community. If you are interested please contact us through our website on: www.pontelandcommunitypartnership.co.uk and leave your details on the contact page. 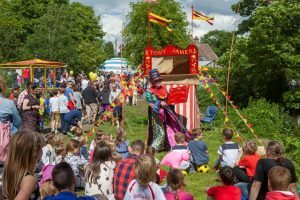 The Re-launch of the Community Partnership in the summer of 2015 proved to be a success completing 5 projects including the creation of this website. At the start of 2016 the Junior Ambassador and his mother met with the Youth Service Ashley Brown, PC Rob Anderson and the Community Partnership to discuss the youth provision for Ponteland young people for the future. The Junior Ambassador held his first surgery, with his mother, outside Waitrose; this was a test for a future project coming up later this year. 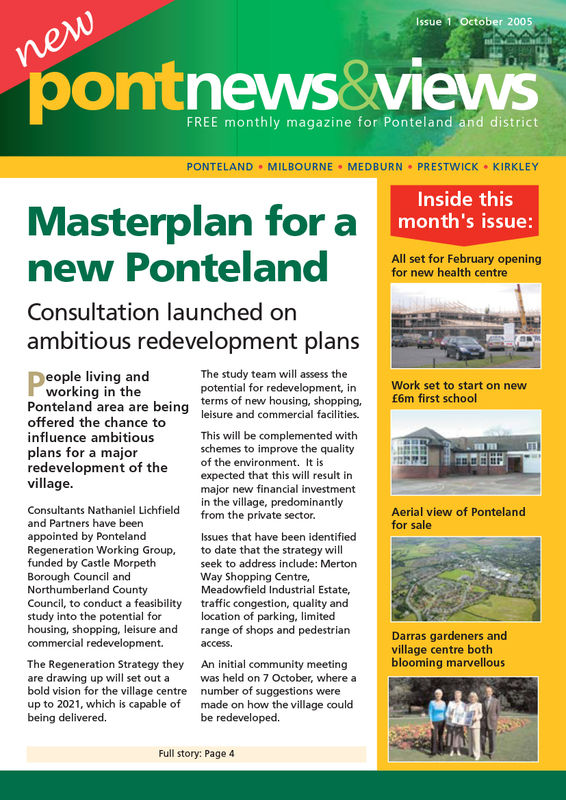 All are invited to the 2016 Annual General Meeting of Ponteland Community Partnership which will be held on Wednesday May 18th at 7pm in Ponteland Town Council Committee Room, Meadowfield Estate, Ponteland. Nominations are sought for membership of the Executive Council; the posts include Chairman, Hon. Secretary and Hon. Treasurer, as well as members of the Management Committee. 90 Runnymede Road, Ponteland, NE20 9HH. Do come along and meet us, you will be made most welcome. We are a group of volunteers all with a strong community spirit who wish to reach out to all residents, to work with other local groups, engage with projects and events for young and old to enhance their quality of life. What ambitions are to follow in the future months? The Chairman is meeting with the new Senior Area Youth Worker, South East Area Sharon Stirling in May to discuss, “What is the future provision for the youth of Ponteland going to be during the next year?” This has turned out to be a very important issue. The Junior Ambassador is seeking to establish a “Youth Forum” for young people’s views on what facilities they would like to see in Ponteland, this would enable them to influence not only the Community Partnership but also the Ponteland Neighbourhood Plan which is in the process of being prepared. The Junior Ambassador’s recent idea is contacting Head teachers requesting their support in engaging young people with the principles of getting the young involved with the community and giving them a voice. We are hoping to give some space on this website for young people’s views.